Introducing the newest addition to our collection of modern sofas. If you're looking to add colour to your existing home interior this Patrice Yellow Sofa is the perfect addition to add to your home. 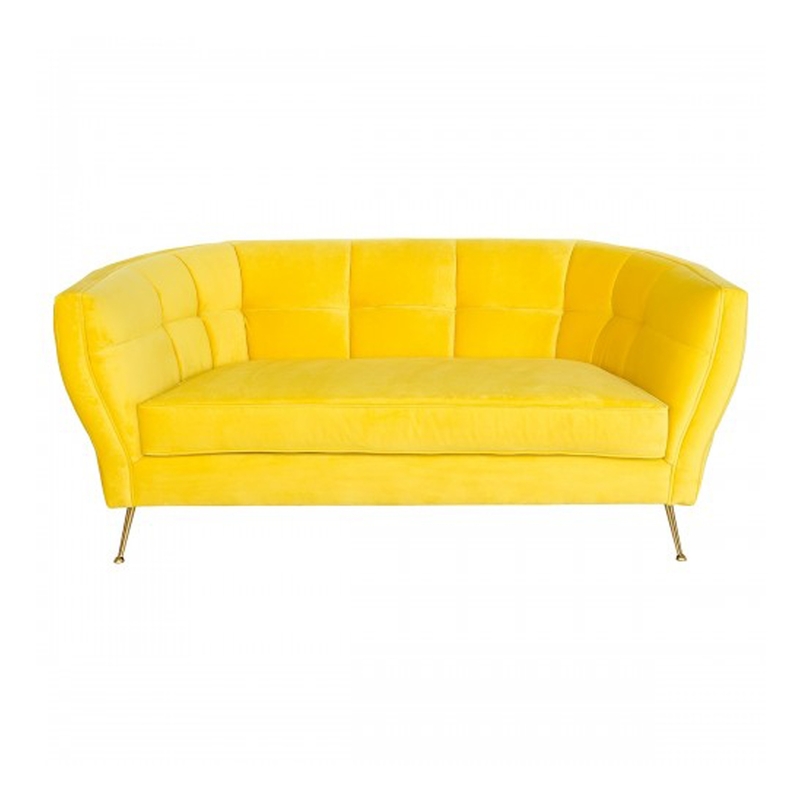 Complete in a bright yellow colour and made from fabric this two seater sofa is topped off with golden coloured legs.